Capture this resort spa vibe by bringing the outdoors inside. The simplest way to achieve this is by introducing plants and other environmental textures to the space. A variety of plants not only make a room feel exotic, but also act as a natural purifier. 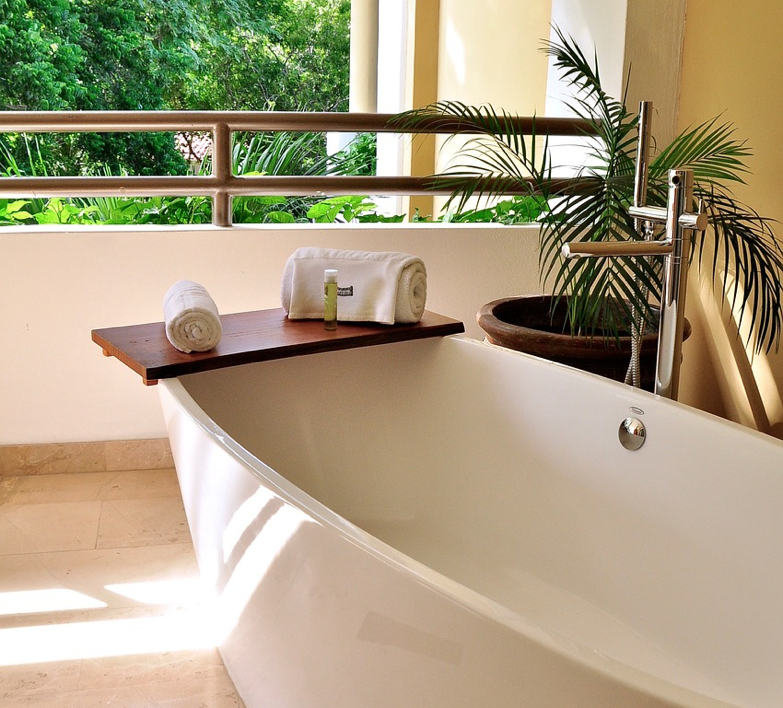 Clearing the room of toxins, plants are the perfect component to a spa bathroom. Or, take some tips from the photo above, and utilize large amounts of stone, marble, and wood to engulf the room with natural weight and luxury. No spa is complete without candles. The soft light calms the space, sending you into a meditative state. 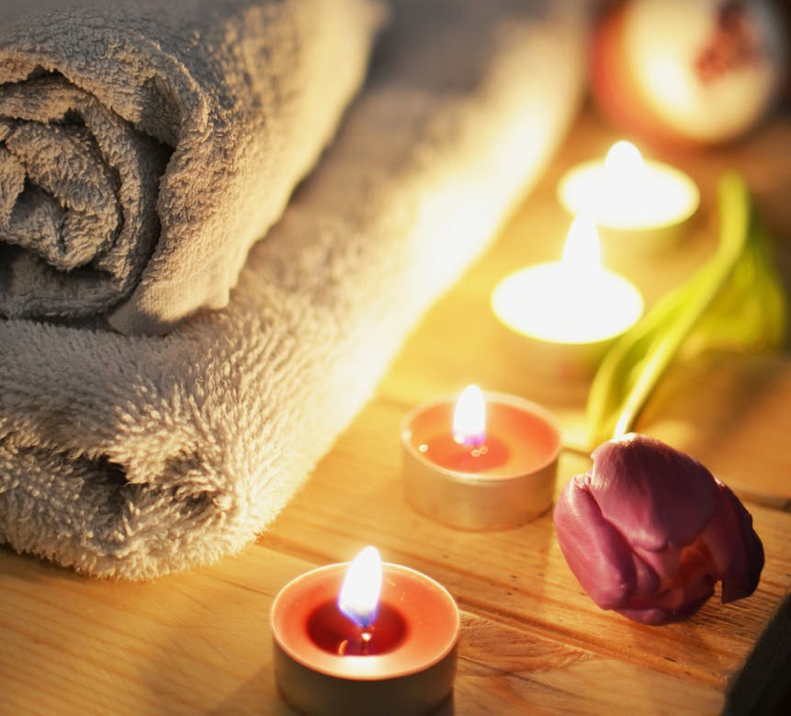 For immediate relaxation, candles or essential oils are a must. Consider scents that soothe the body and mind such as lavender, eucalyptus, sage, or tea tree oil. Stow that overflowing hamper in the closet. Take the minimalist approach and strip your bathroom of any unnecessary items that remind you of work. 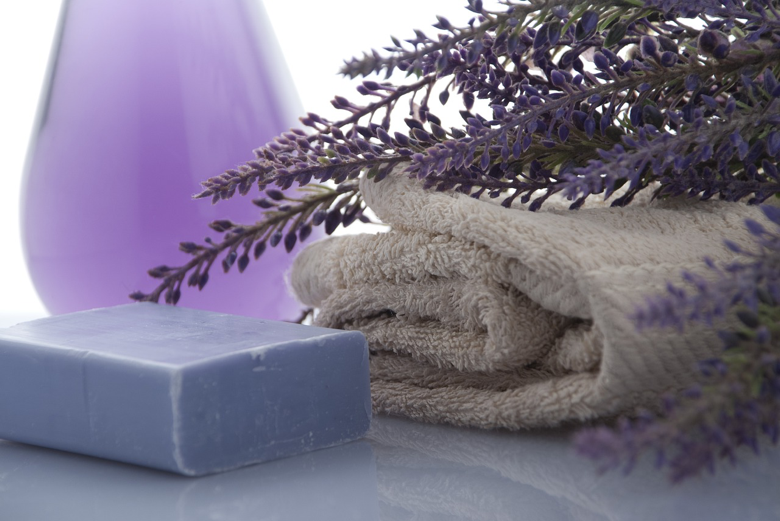 Instead, keep only elements that add to your spa experience such as, plants, towels, bath bombs, and candles. Everything else should be hidden from sight as you soak your worries away. Nothing is more distracting from your spa experience than a crowded corner of gooey plastic bottles. 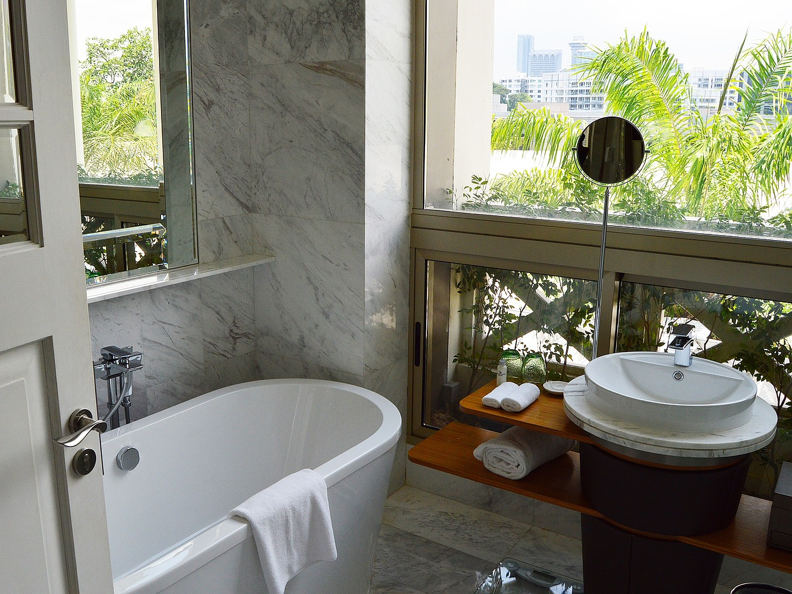 To raise the luxury bar, consider placing your bath products in glass pump bottles. According to the Swedish philosophy, Lagom (Not too little, not too much), the items you touch every day should be of the best quality for optimum happiness. So, splurge on fancy soap bottles and plush towels. You won’t regret it. 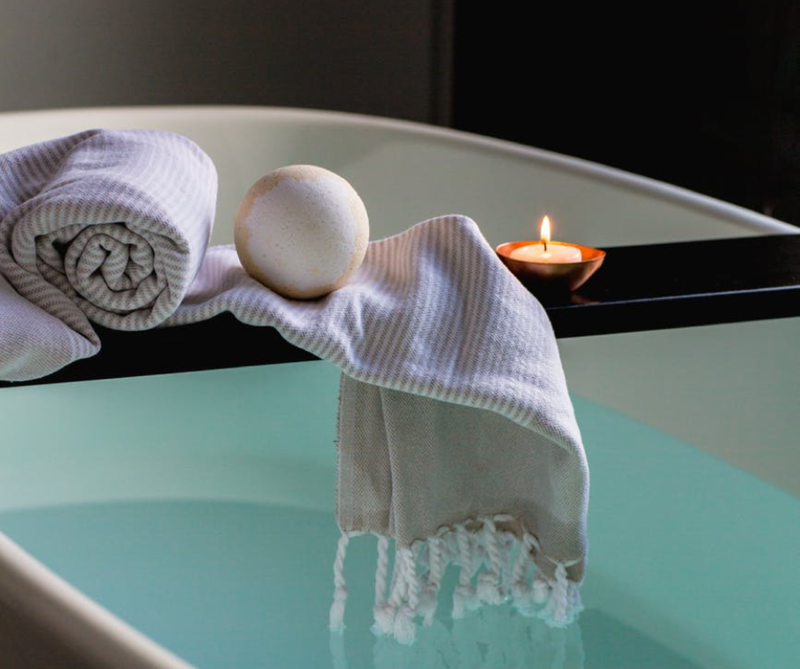 Now, take these tips, dim the lights and let your worries drift away in your new spa!